It’s Easier to Find a Solution (With Someone Else) When you find yourself stuck when trying to solve a problem, bounce it off a peer to see what they offer. One of the most frustrating aspects of programming is working on a solution to a problem and bumping up against something that we should know how to do or be able to figure out how to do, but we’re unable to do so. Let’s say that I’m working on a project and it has to make an Ajax request. I get the response, I display it, and I also cache the response for 24 hours. 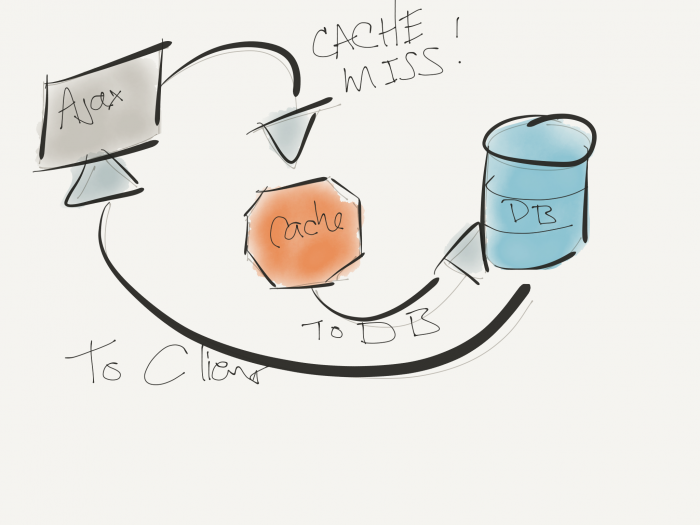 If the user requests the information again, I pull it from the cache, and it looks fine. But what about whenever you’re the first person to hit it in the next 24 hours? That is, you get a cache-miss, and then you get not only a longer-than-normal request, but you also get a response that needs some additional processing before rendering it to the user? Reading this, you’ve likely got a laundry list of things you’d try to do. And I’d venture to say that everything you’re thinking is likely worth trying if not right. Ultimately, that’s proving my point. And that’s this: When you’re not as close to the problem, it’s easier to find a solution. If you’re someone who spends a lot of time in code but occasionally hits that point where you can’t see the forest through the trees, then having a group of peers around to which you can always bounce off your problems is essential. And much like code reviews, this has nothing to do with you (or their) ability to code. It has to do with solving problems. So simply put, if you find yourself frustrated that you can’t get something working but you know you’re overlooking something, you’re likely right. It’s merely a matter of what. If that’s the case, then the next question is who do you go to bounce off ideas. If no one comes to mind, I’m sure you have a few people in your corner.